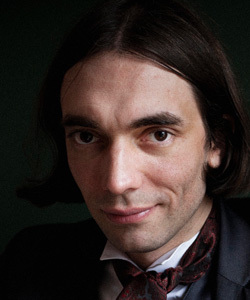 Cédric Villani is a French mathematician who was awarded the Fields Medal in 2010. After attending the Lycée Louis-le-Grand, Villani was admitted at the École normale supérieure in Paris and studied there from 1992 to 1996. He was later appointed an assistant professor in the same school. He received his doctorate at Paris Dauphine University in 1998 and became professor at the École normale supérieure de Lyon in 2000. He is now professor at Lyon University and has been Director of Institut Henri Poincaré in Paris since 2009.